Editor’s Note: In observance of Women’s History Month, The Monitor is recognizing local women who inspire us. This is the sixth of eight profiles on those who made our 2019 list of “Women We Love,” a series we’ll publish every Monday and Thursday in March. Dora Alicia Proa, 66, has spent more than half her life making sure her community is aware there is help out there for those who need it. For 36 years now, she has either volunteered or worked for a number of nonprofits that connect low-income residents with much-needed services and care. Whether they’re looking for information on food pantries, help with utility bills, access to family planning services or medical care for their families, Proa can point them in the right direction. It’s knowledge she has accumulated through years of service, and it’s knowledge she’s disseminated one neighborhood at a time. Being a promotora, or community outreach worker, can be grueling work. Those who serve in the position often go door-to-door spreading information about available resources to those living in low-income areas. They bare triple-digit heat and are sometimes forced to outrun dogs in their pursuit to help others. And though Proa has been serving as a promotora for 25 years now, her journey helping others began much earlier. 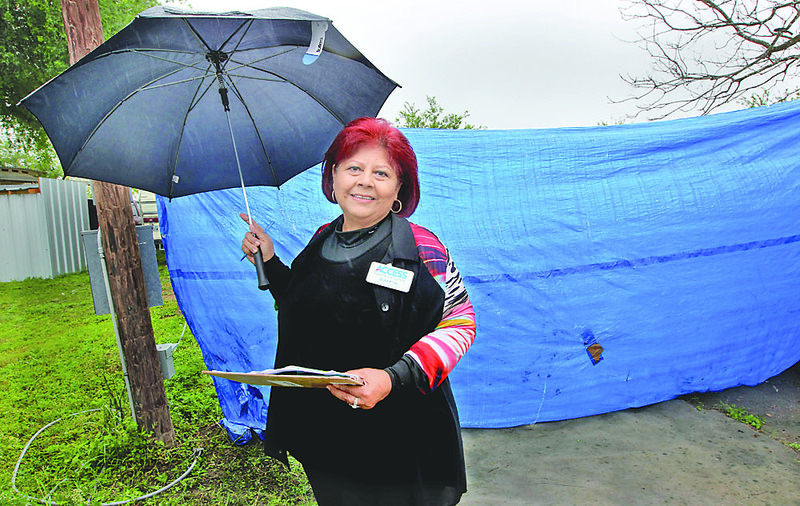 Proa began volunteering for the Houston hospital in 1983 while living in Reynosa, Mexico. Shriners is a network of 22 nonprofit hospitals that treat children regardless of their parent’s ability to pay. As a volunteer in Reynosa, Proa was in charge of collecting applications for a program that allowed low-income children living with disabilities in the Mexican border town to seek medical care in the U.S. Families from as far as Monterrey traveled to her home, where she filled out the applications and sent them to Houston. The hospital would send back a list of children to be bused to La Feria, where Houston doctors would treat them. Proa also raised funds for gasoline costs and served as the chaperone. “One time, I had parents who brought a young child who didn’t have arms or legs. He came in with some little legs they had made for him, but they were homemade and they were made out of wood. And around the wood they had put some belts to tie around his waist,” she remembered Tuesday. “So I filled out the application for him, and eventually he would come in with all of his prostheses, and he would even wear pants and shoes and everything. Proa volunteered with the hospital for 12 years before moving to the U.S. with her five children. After settling in Las Milpas in 1994, Proa was surprised at the amount of free time she had while her children were in school. The answer came in the form of a Planned Parenthood meeting. 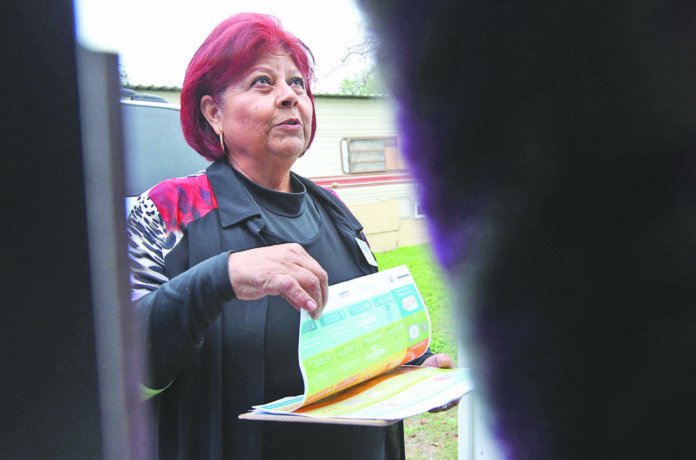 The nonprofit organized a gathering at one of her neighbor’s homes and encouraged nearby residents to become promotoras. Twelve women attended the meeting in 1994, Proa remembered, and eight of them went on to become promotoras, learning about an array of issues ranging from birth control to STDs to puberty and hygiene. Their primary task as promotoras was to speak to their family, friends and neighbors about family planning and what they had learned through trainings the nonprofit provided them, but these weren’t easy subjects to tackle, especially in the mid 1990s, Proa remembered. So most women started with a simple question: have you had a pap smear yet? “Many women would say no, and the majority didn’t have documents, so they would say ‘well, no. We don’t know where to go,’” Proa recalled. And even for those who knew about the Planned Parenthood clinic in McAllen, getting there presented its own set of problems. Then another local nonprofit stepped in to help clear the transportation barrier. Soon, the number of women planning families and seeking treatment led Planned Parenthood to open a satellite clinic in Las Milpas and in other surrounding communities. “And I realized that for a lot of people that was the only place where they could access a clinic,” Proa said. “They didn’t have insurance, and they had kids and kids and kids, and they weren’t taking care of themselves. 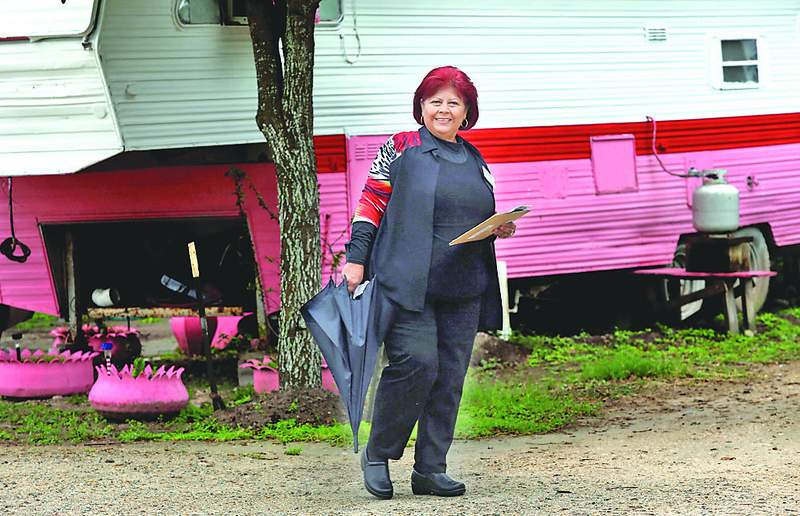 For more than a decade, the promotora program helped bridge that gap, but in 2011, the Texas Legislature handed the nonprofit a huge blow that upended services in South Texas. During the 2011 Legislative Session, Texas legislators cut two-thirds of the funds geared toward family planning services, Gonzales said. At the time, Gonzales was working for Planned Parenthood, which he said was being targeted for it’s stance on providing abortion services. And even though Planned Parenthood of South Texas has never offered abortions, the name alone guaranteed the local branch saw budget cuts. About half of the staff was also laid off. Proa, who had now been with the organization for about 17 years and was a paid staff member, said she was prepared for the worst. “I had a plan. If they laid me off, I would go back to being a volunteer,” she said. “I didn’t want to leave. Gonzales, her boss, wasn’t surprised by her determination. As a response to the cuts, the organization changed its name and began operating under Access Esperanza clinics in 2013. Access now has four full-time clinics and operates a satellite location at the South Texas College campus in Weslaco, where it offers family planning services to college students. “Imagine, we had to find people all over again and give them new information,” Proa said. At 66 years old, Proa is often asked why she hasn’t retired. Why stay home alone now that her children are all grown up and living their own lives, she asked rhetorically. On Tuesday, while knocking on doors in an Edinburg colonia off of Val Verde Road, the importance of her role in the community was apparent. “Hi, I’m here with Access Esperanza Clinics. Have you heard about our services,” she asked a shy young woman who opened the door to a small trailer home. “Yes,” the young woman replied before exchanging a few more pleasantries and closing the door.